As you may know, this year our chosen community charity is Bath Mind, working to improve the lives of people experiencing mental ill health in our city. We’re well aware that the festive season isn’t always a happy time for everyone, and as such, we’re currently fundraising for Bath Mind’s ‘Greenlinks’ project. 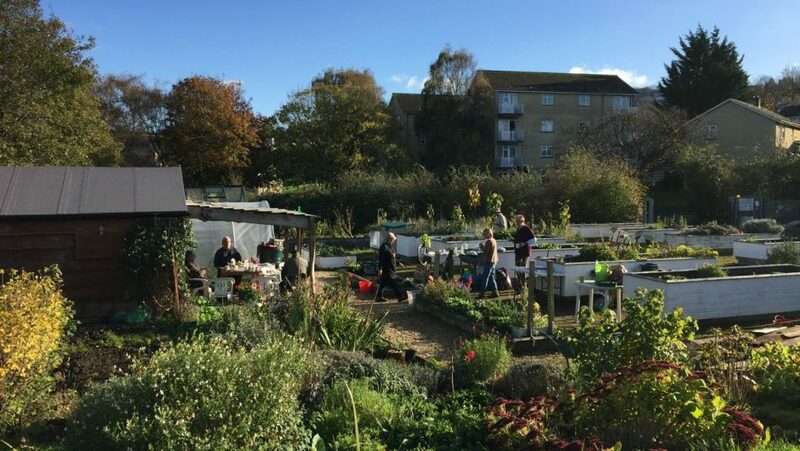 This allotment space offers those feeling low or struggling with mental health issues the opportunity to enjoy the therapeutic benefits of gardening in local green spaces and to make new friends in the process. We’re currently raising money to fund improvement works at the Greenlinks allotment facilities on Monksdale Road in the spring, with an aim to provide better wheelchair access and improved shelter under the newly constructed pergola. Throughout December, we’ll match any donations made to the project on our Just Giving page, up to a total of £1000. If you’re able to make a donation, please click here. We’d really appreciate it. Wishing you a very Merry Christmas from Nick, John and all the team at W&L. Since Lydia and Sandra joined us last month, we’re delighted to welcome Magda to the team, who joins us as interior designer. Originally from Poland, Magda graduated with an MA in Interior Design from The Academy of Fine Arts in Gdansk, and comes with a strong grounding in kitchen design from her previous employment. We hope you’ll join us in wishing her a warm hello!